Here is the story of Art Lives!, one of two pieces that I co-created with Erika Nelson for the collaborative exhibit Art Lives!, coordinated by Rachel Epp Buller of the Feminist Art Project. Women artists from across Kansas were paired for this project to make both individual and collaborative artwork addressing the theme “Art Lives!” in light of the elimination of the Kansas Arts Commission a year ago. 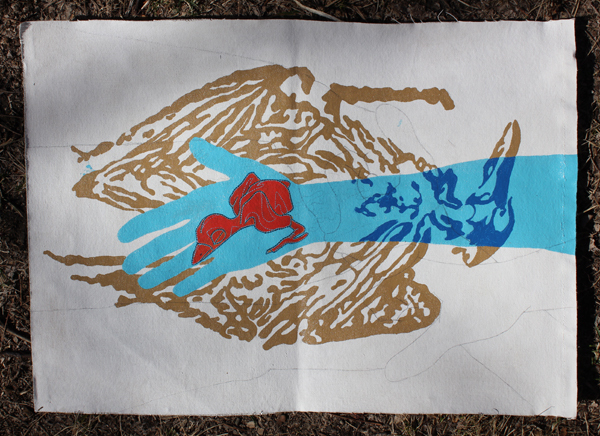 Erika and I began collaborating on two art pieces after exchanging a couple of emails and talking on the phone. Because we live hundreds of miles apart and still to this day have never met, we decided on a process in which we would each begin making a piece that we would then mail to the other for additional work. We would mail the pieces back and forth until our deadline — one focused loosely on “politics” and the other on “art lives.” The process would be a conversation, a slow-moving, visual-heavy conversation about the state of the arts in Kansas. I began our piece, that we eventually titled Art Lives!, by painting a baby bird held in someone’s hand. I had toyed with using this image in some of my own art ever since seeing a photo of a baby bird in a National Geographic magazine a couple of years ago that I had made sketches from. I think of the baby bird here as a stand-in for babies of all kinds who are both fragile and yet are amazingly strong and resilient. Was this bird dead or alive? Maybe that would be a good way to start a piece about the state of the arts in Kansas. I saw the beginning of Art Lives! and thought about some of the conversations that had been occurring throughout the past year regarding the arts – when is it endangered? When is it cared for? Whose hand is that? It brought to mind a Christmas visit to an area racked by the same issues, but with dire results. On the banks of an inland sea, two shores exist. On one shore, bird hatcheries and aviaries, on the other, a mass of death where the wildlife of the sea washes up to become a part of the beach – a beach made only of the remnants of the life that grows just on the other shore. The bird image that makes up the second layer came from this second shore. I had been curious how Erika would respond to my baby bird image, and getting the package in the mail with her visual response was akin to birthday mail. I immediately liked her overlay of the adult bird image, and read her note about where the image came from. While I hadn’t viewed this bird as death absolutely, the image did remind me of a photography project that had made its way around the internet a couple of years ago with photos of dead sea birds whose decaying bodies revealed all kinds of crazy human-made junk that the birds had eaten. 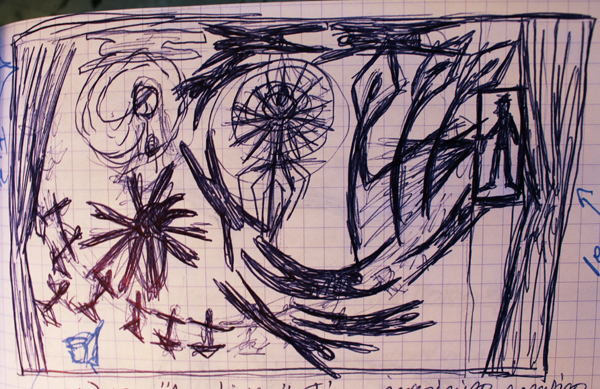 Already our image was complicated and I didn’t want another layer to visually clutter the piece. 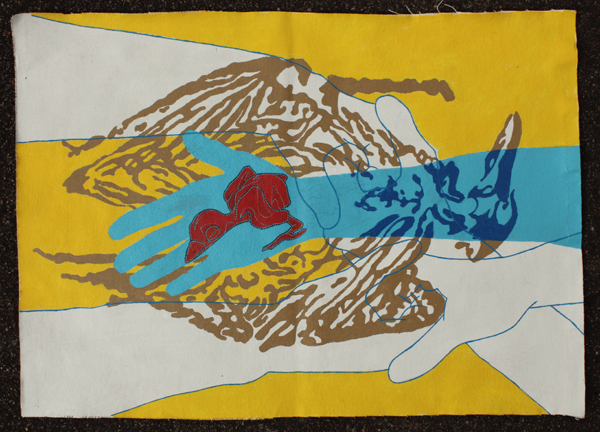 So I decided to include simply the outlines of two sets of embracing hands bordered in yellow, an image I had used in some past work to represent interpersonal support. Bringing women artists from across the state together to support each other as artists was one of the goals of the entire “Art Lives!” project. I felt that this goal had taken hold in our collaboration and I wanted to show this with the image of embracing hands. As with the partner exchange being mailed back and forth, weekly, seeing the slip of paper in the PO box alerting me to a package became an exciting part of the process. 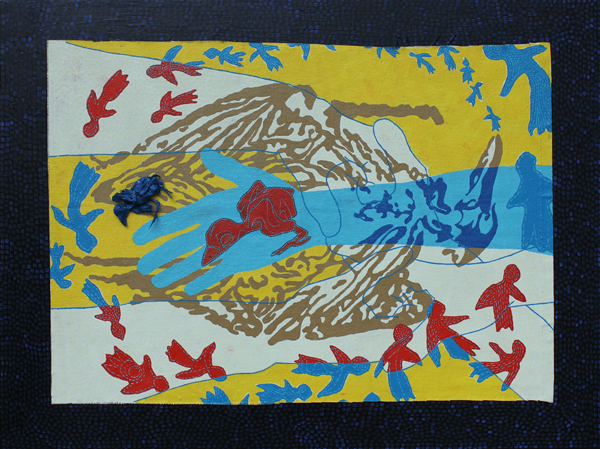 This time, in seeing the interlocking and overlapping hands, seeming to strengthen and surround the lil’ bird in the center of the image, I thought about the cycles, the circles of life and death, inspiration and struggle, that were recurring themes in the process. I added a swirling, emerging set of forms, derived from the same Christmas exploration as the Salton Sea bird. Leonard Knight, a visionary artist working in a destitute and desperate area of the California desert, has created a colorful, playful, powerful mountain in the midst of this hard place – a multicolored mountain of adobe and castoffs and paint. 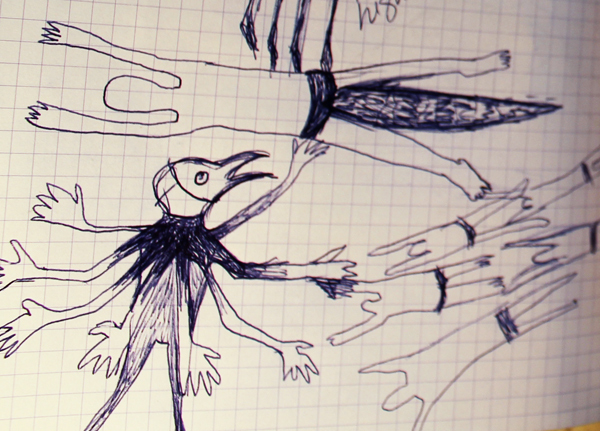 The bird forms used in Art Lives! come from the millions of soaring birds that pepper the mountain, appearing in every surface of Leonard’s work. Their simple innocence of flight, and the marriage of bird-yet-human form seemed to be a connector for the hands and birds in the collaboration, as well as bringing the life/death cycle to the desiccated bird form from Stage 2. 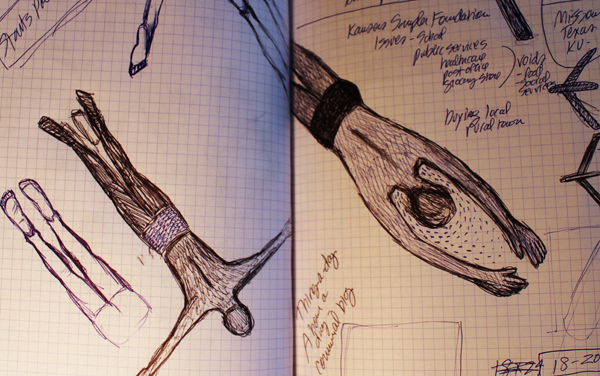 At this point we evaluated our project over the phone and decided that it was at a comfortable stopping point. And our time was up. 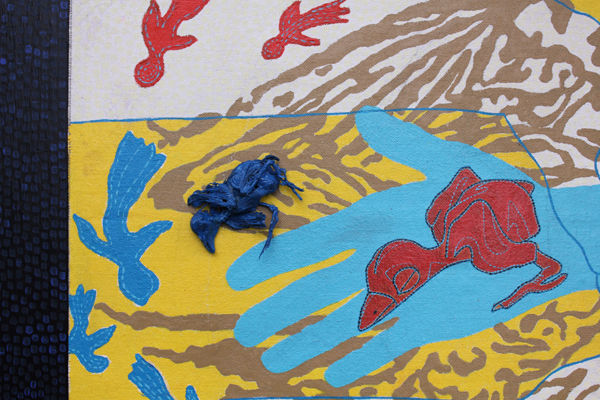 I liked the way that Erika’s energetic birds-in-robes (maybe even in bathrobes) seemed to come from death and encircle the baby bird giving the whole piece a sense of regeneration. I added some light blue marks into these robed beings to make a visual connection to the original baby bird. It was also time now to glue down “little guy,” a dead baby bird that Erika had found somewhere and painted blue, that we had mailed back and forth a couple of times for contemplation. 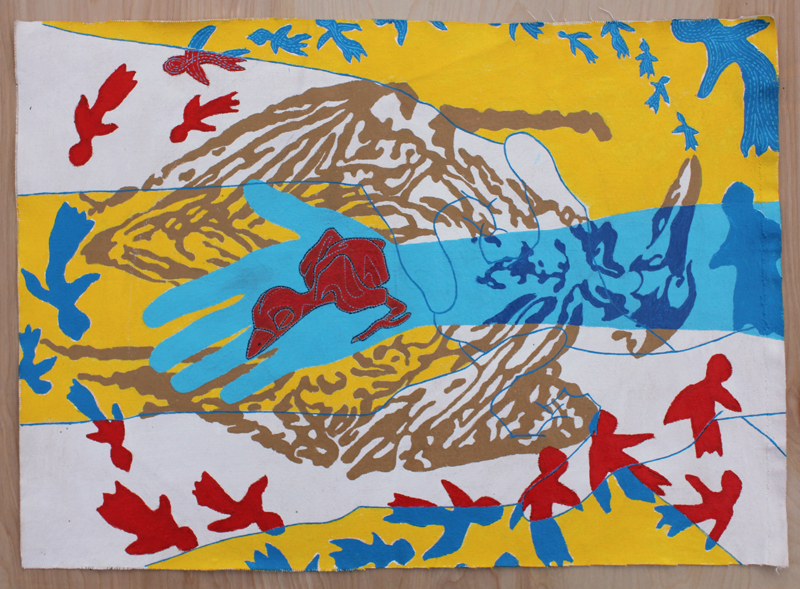 The real baby bird added something visceral and tangible to the work. We agreed that I would mount this piece and that Erika would bring our Brownback- collaboration to its conclusion. After casting about for how to mount it (frame it? stretch it? 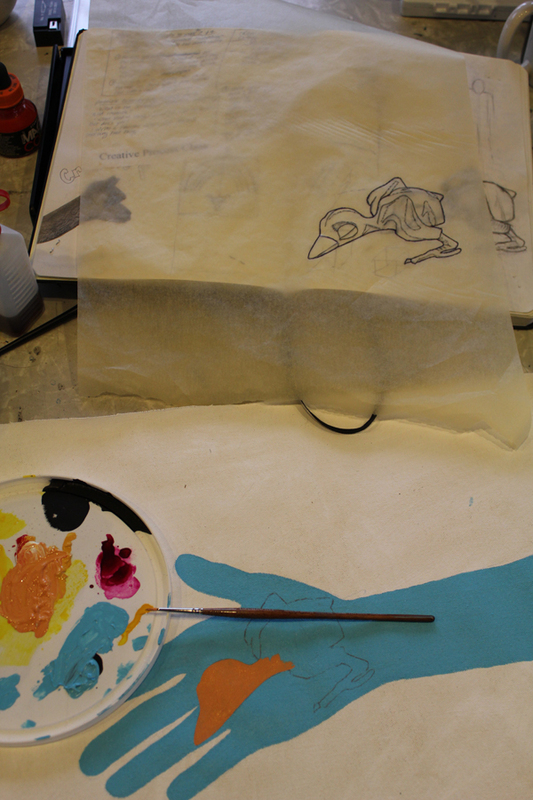 ), I decided to simply paint a solid piece of plywood and glue the canvas to the board with acrylic gel medium. I’ll spare you the details of my various mounting missteps and simply note that I am pleased with how the piece came out, and I like the way the canvas is set off visually by the black and stippled background. 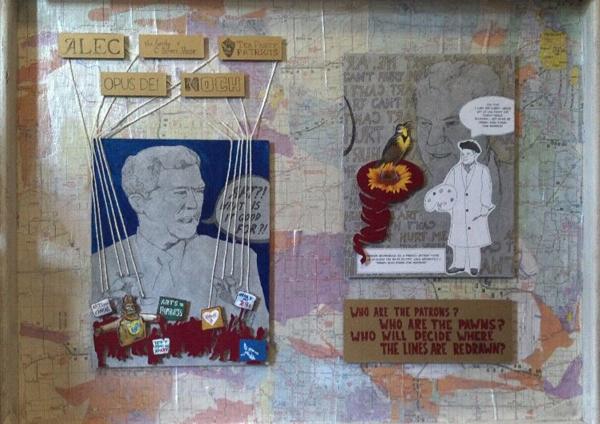 Here is the story of Brownback Puppeteer, a piece I created in collaboration with Erika Nelson for the exhibit Art Lives!, coordinated by Rachel Epp Buller of the Feminist Art Project. 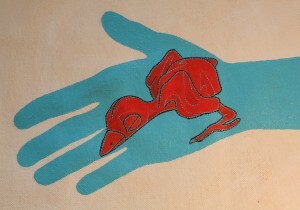 The exhibit opens on March 30, 2012, at CityArts in Wichita. Women artists from across Kansas were paired with each other to make both individual and collaborative artwork addressing the theme “Art Lives!” in light of the elimination of the Kansas Arts Commission. In the collaborative project and exhibition “Art Lives!,” created in response to the cut in Arts funding in the state of Kansas and the elimination of a nationally recognized arts organization, Lora Jost and I have been exchanging two pieces via mail to work on together. These two pieces, Art Lives! and Brownback Puppeteer, reflect two sides to the concept – the politics behind the frustration of the arts community, and the resilience of Art itself. 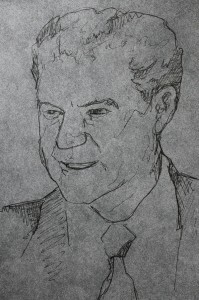 Brownback Puppeteer started as a simple set of portraits of Gov. 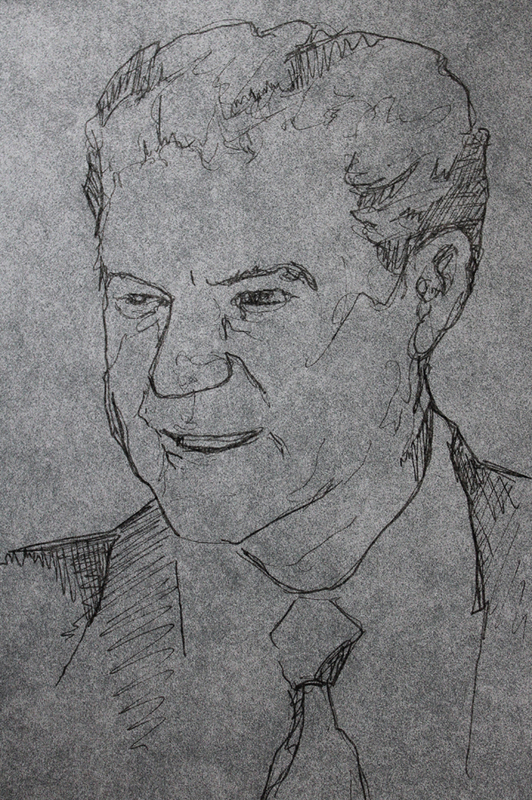 Sam Brownback, gleaned from publicly available press photos. The original thought was one of political cartooning, akin to the sort of editorial cartoons that have peppered the conversation on the media front. This was a new realm for both Lora and me, and the collaborative voice changed and evolved through the discussion, reflecting both the urban(ish) and rural impact of Brownback’s policies and actions. 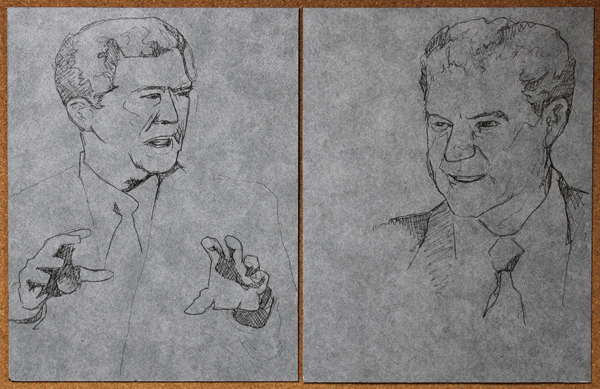 When I received the two portraits of Governor Brownback from Erika, I was perplexed about what to add next. Artists have been satirizing political figures since classical Greece if not since the earliest cave paintings, and given these portraits in this context I had a feeling that our collaboration would go in the direction of satire as well. I wasn’t a political cartoonist but still I decided to add a cartoon bubble to the governor on the left (that’s how I oriented the two pieces) with him asking, “Art?! What is it good for? !” Maybe the question would read as incredulous on his part but also as a real question I was putting out there to be answered; a question for Erika. 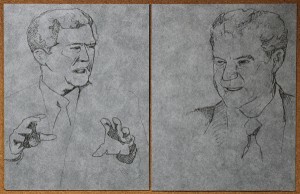 The text that I added to the second portrait is based on a refrigerator magnet that my artist-brother gave to me many years ago that read, “Art can’t hurt you.” I had always read this statement with a certain irony, and it seemed an interesting backdrop from which to view Governor Brownback’s elimination of the KAC. I have always assumed that Governor Brownback was comfortable eliminating arts funding because he didn’t think that the arts community could hurt him politically. 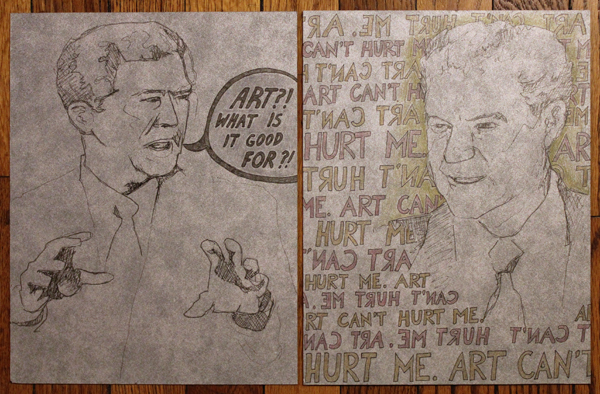 So I changed the text in this piece to read, “Art Can’t Hurt Me,” to represent Governor Brownback’s arrogance towards the arts community, first firing the entire staff of the KAC and then line-item-vetoing the organization’s entire budget. When I got the Brownbacks back with text, I was happy to see the pointed, yet upbeat turn. I didn’t want to demonize BB, but create some sort of commentary on the policies enacted and their effects on the art world in Kansas. Since there were two panels, with two possibilities for related yet complimentary messages, I decided to add both the activist reaction to policies, as well as the continued growth of the Arts in Kansas. For one, I added a painted paper silhouette scene from one of the Arts rallies held at the Capitol. It was such a powerful coming together of the arts, pleading and empowering the Arts community, I chose some of the messages from the many voices represented. A John Brown that would give hugs for arts, a “Here’s My 29 Cents” illustrating the cost to taxpayers for supporting the Kansas Arts Commission, and an Arts = Business were just a few of the sentiments of the day. 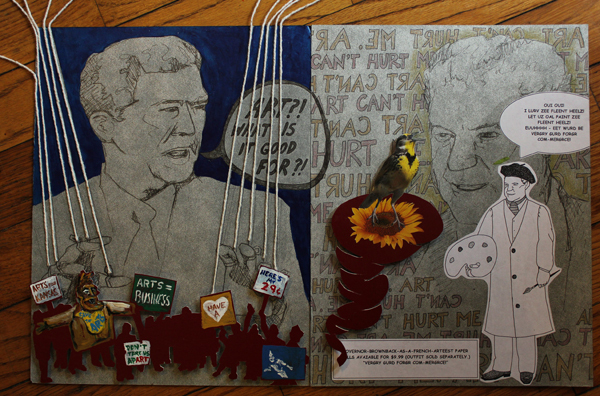 I also added string images to Brownback’s hands, opening the question of “who pulls the strings?” For the other panel, I originally envisioned a massive swirl of arts coming up to confront the BB image, but downscaled the addition to a Meadowlark, elevated via tornado to BB’s eye level, singing out for the Arts of Kansas. As a response to the question “what is art good for,” Erika had painted such a nice protest scene around one of the images of Brownback that I felt that this image was almost complete. 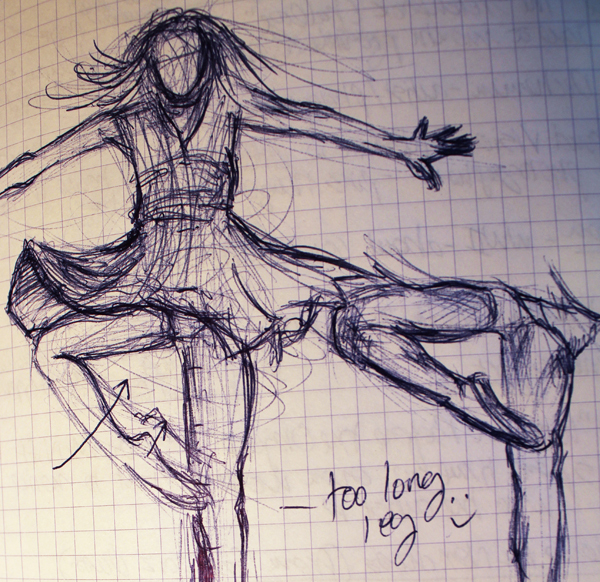 And yet there were those silly strings to contend with, and so I decided to do something with them. I tried to use them to illustrate the idea that Brownback appears to be responding not to what ordinary Kansans want but to particular interest groups that are far more ideologically extreme than most Kansans. The Governor’s elimination of the KAC is but one example; rather than responding to ordinary Kansans, many of whom support the KAC, Brownback’s decision to eliminate the agency reflected more the kind of views of the American Legislative Exchange Council (ALEC), a right-wing interest group. 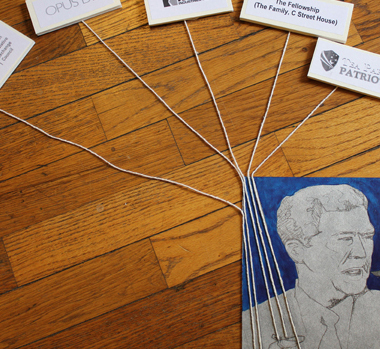 I decided to include the logos of five of these sorts of organizations that have ties to Governor Brownback, and to illustrate these connections I attached real strings stretching from the organizations’ logos to Brownback’s hands. As I considered these organizations, I was struck that many of them are considered secretive: ALEC, the Koch brothers, the Fellowship, and Opus Dei. Perhaps the Tea Party, that I also included, is less so. I was curious what Erika would think of these additions. At this point, the artists received an email regarding the show. The gist was that overtly political works may be pulled, which sorta’ threw both of us for a loop. 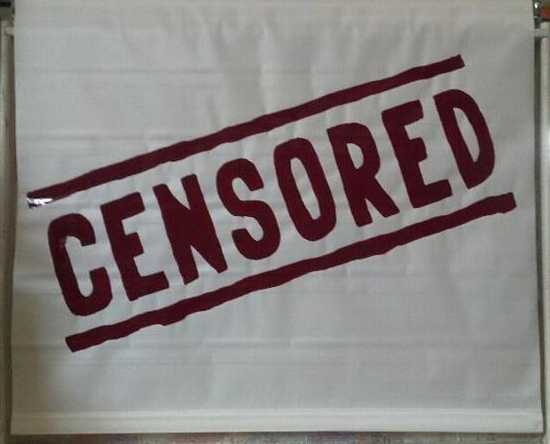 However, in a phone conversation discussing how the pieces should wrap up, we decided not to censor ourselves. When I saw the whimsical additions from Stage 4, I felt pretty good about the collaboration, and the gentle poking that resulted from the exchange. Yes, they are important issues, and yes, the pieces were coming from a place of frustration, but the work evolved into a piece of questioning, rather than demonizing. Lora added logos to the strings on one hand, leaving the others open to my input. I agreed with the choices, so simply mounted the pieces so that the operators could act on both hands. Suddenly, everything clicked – the paper doll, the puppet, even the puppet-like or paper-doll-like cutouts of the protestors. I composed a set of questions, mounting them with the two Brownback boards, on a background of a Kansas roadmap. 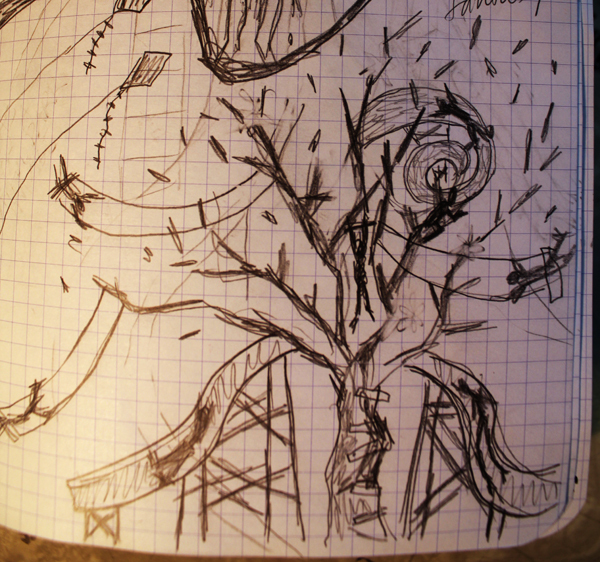 The strings, the roadways, the cutouts, the acts on paper, coalesced. Finally, I thought it’d be a nice gesture to include an Artist Approved Self-Censoring shade, if the piece was still deemed too controversial or pointed for display. I mounted a pull-down shade on the top of the piece, which can be pulled down over the imagery, revealing a large red “CENSORED” stamp applied to the shade. 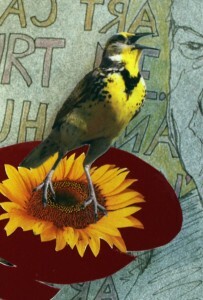 Note – Lora: While the threat of censorship caused quite a kerfuffle among the participating artists, we are pleased that CityArts of Wichita (a publicly-funded arts center) made no real attempt to take any work out of the show, ultimately honoring their First Amendment obligation not to censor the works on the basis of content or viewpoint. I’ve been having a lot of fun in my studio lately and I thought I would share some of my ideas, unfinished work, and creative process. I’m working on a mosaic commission as well as several pieces for two group shows in March. This is the start of a collaborative piece that I am working on with Erika Nelson for "Art Lives!" “Art Lives!” is a statewide collaborative project pairing women artists to work together to make art about the theme art lives. The project was conceived by Rachel Epp Buller, an artist and professor at Bethel College in N. Newton, Kansas, as a response to the condition of arts funding in Kansas; Governor Sam Brownback vetoed funding for the Kansas Arts Commission making Kansas the only state without an arts agency. 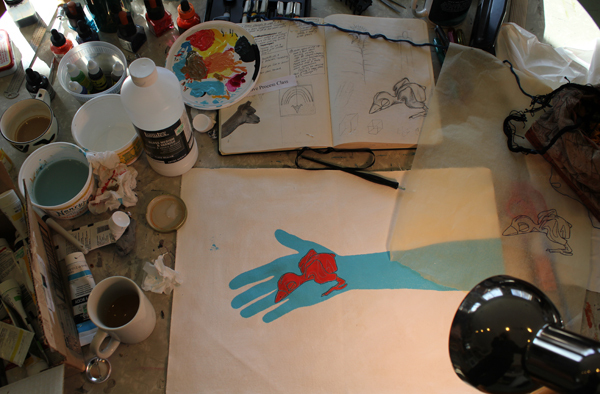 I am working in my studio on a collaborative piece for "Art Lives!" I am working on a couple of pieces for this exhibit. I am most excited to be working collaboratively with artist Erika Nelson of Lucas, Kansas, known for her “Worlds largest collection of the world’s smallest versions of the world’s largest things.” I still haven’t met Erika in person, but I have enjoyed talking with her on the phone and through Facebook and email. We’ve decided to begin two collaborative pieces, one that is “political” about the state of the arts in Kansas, and one focused more loosely on the theme art lives. We are passing the two pieces back and forth in the mail, and by now have each had a chance to add to what the other has done. It’s a fun process and we’re thinking of it as a dialogue. 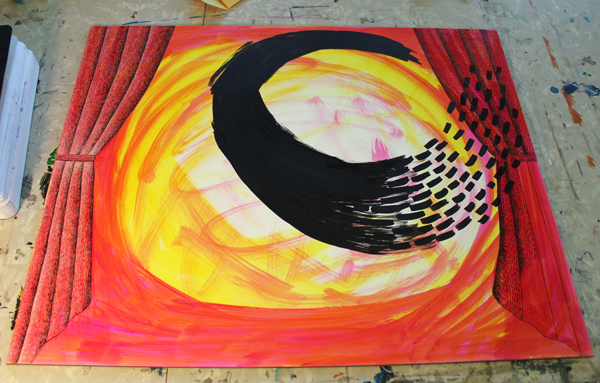 This is the first layer of the piece that I am making for "Art Lives!" I will be layering ink and other media on clayboard and then scraping back into it with a scratchboard knife. I am also beginning to work on a piece of my own for this exhibit. I am imagining art lives as a depiction of a theatrical scene with dancers and actors springing forth and even flying through the space. I’m imagining this “play” as including subtle references to the Occupy movement because that movement has highlighted how publicly-funded programs like the Kansas Arts Commission are being taken over by wealthy corporate interests. I am excited to try a more process-oriented approach with this piece, so the final product might be very different from my first thoughts. 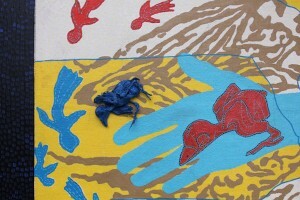 The exhibit “Art Lives!” will be on display at City Arts in Wichita, Kansas, from March 28 – April 21, 2012, with a Final Friday reception on March 30. I am also planning a piece for an exhibit called “This Green Space” at the Percolator in Lawrence, Kansas. 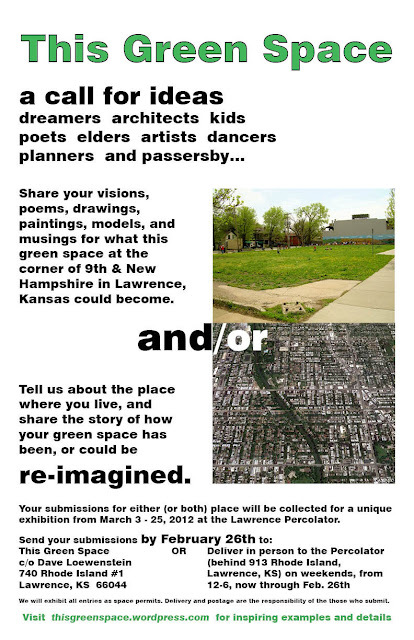 For this exhibit artists are invited to share their visions for imagining and re-imagining the green space at the corner of 9th and New Hampshire in Lawrence, a space that may become a large hotel — just across the alley from the Percolator. Alternately, artists are invited to exhibit work that tells the story of how they have re-imagined “green spaces” of their own. The green space that I am imagining at 9th and New Hampshire is a fantasy playground. What I hope to convey in my finished scratchboard piece is a feeling of joy and play, focused on the needs and interests of children. I have quickly sketched out some ideas, made a more detailed plan, and am now in the process of rendering the piece in scratchboard. “This Green Space” will be on exhibit March 3 – 25, 2012, at the Lawrence Percolator, and will be open for a reception during the March “Final Friday” event. 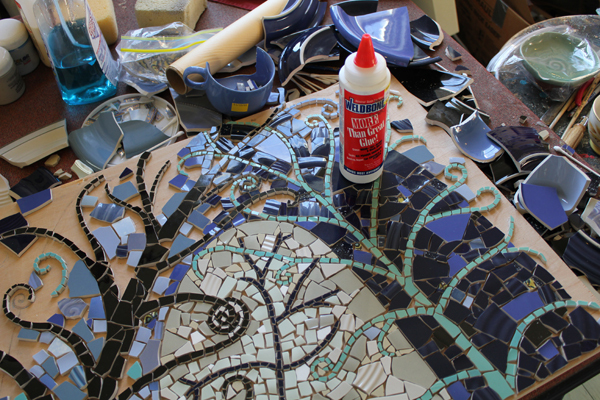 And as I move forward with the above new projects, I am also in the process of finishing a mosaic commission that I have been working on since December with a tree-theme.